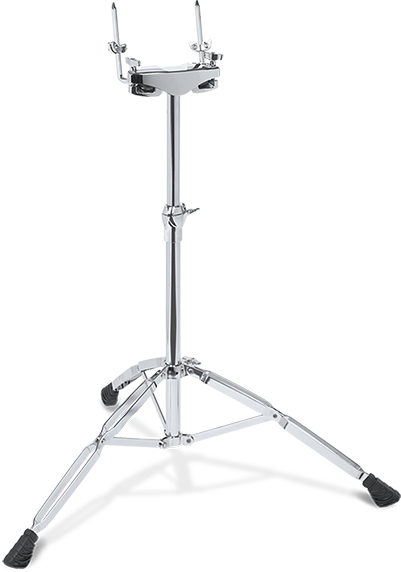 Heavy duty double tom stand, with double braced legs and dual tube construction with slip-proof nylon inner sleeve, provide maximum stability. Universal ball-in socket tom arms and die-cast memory locks keep the toms in place. Ball-in socket joints to allow full freedom of positioning while providing a secure hold. 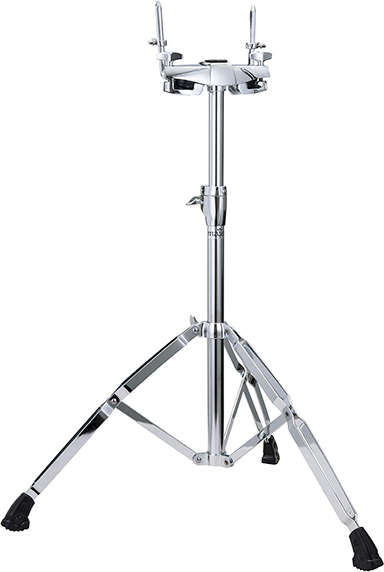 Heavy duty metal tube and plate construction, for maximum stability.